How can I connect my iCloud address book to my FullContact account? 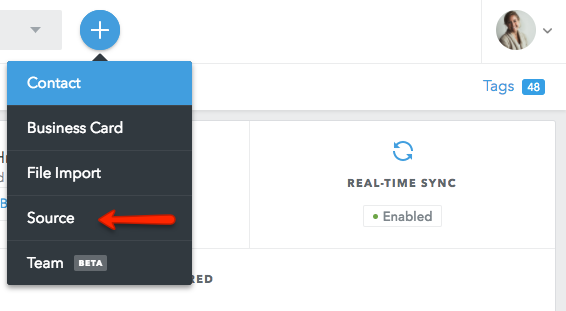 If you're connecting your iCloud address book in the FullContact for Web app, you can do so from your Settings page or the home page of your Web app. From the home page, click the blue [+] icon, then click Source. If you're connecting your iCloud address book from the FullContact for Mac app, click on FullContact (menu dashboard at the top of your Mac), click Preferences, then click the [+] icon here. 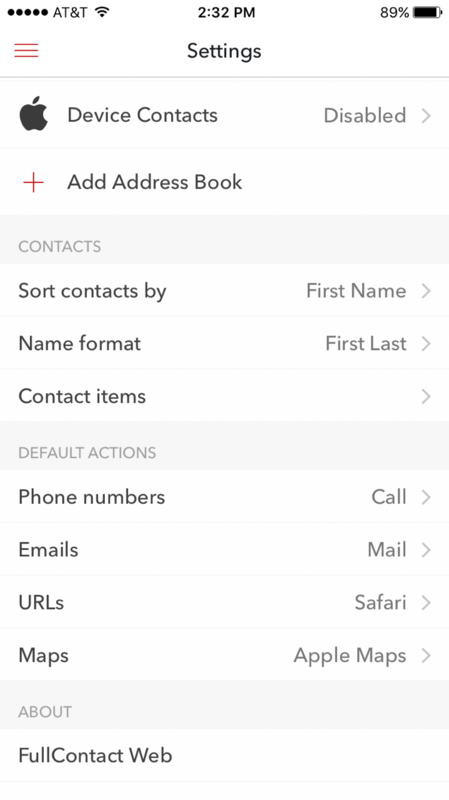 If you're connecting your iCloud address book from the FullContact for iOS app, click Settings (home page), then click the [+] icon. How can I make sure my iCloud address book is keeping my Apple device(s) synced with FullContact? If you have an OS X (Mac) or an iOS (iPhone/iPad) device, the easiest way to keep FullContact synced with your Apple device is through your iCloud address book. Once your iCloud address book is connected and syncing with your FullContact account, you'll want to make sure it is also connected and syncing with your Apple device(s). On your iPhone/iPad, go to your native Settings (gray gear/icon) -> click on Contacts -> make sure your iCloud address book is listed as an Account. Then, make sure syncing with Contacts is turned ON. On your Mac, go to your System Preferences (gray gear/icon) -> click on Internet Accounts -> make sure your iCloud address book is listed and that syncing with Contacts is checked. Does iCloud work with Apple’s two-step verification? Yes. This article helps describe how to setup two-step verification. Do FullContact tags sync with iCloud contacts? Yes. The tags you create in FullContact sync bi-directionally with the groups you create in iCloud; vice versa, any changes/edits to a group in iCloud will update in FullContact.